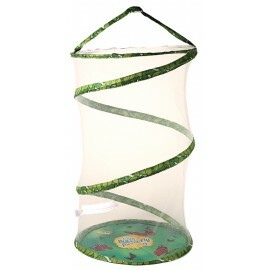 The 30cm tall Butterfly Garden Habitat is a stunning butterfly aviary for the home or classroom. 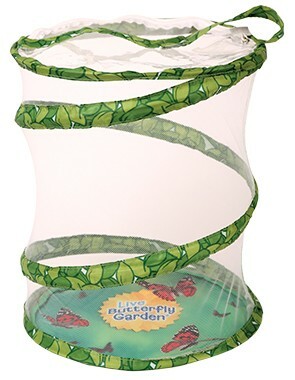 The 30cm tall Butterfly Garden Habitat is a stunning butterfly aviary for the home or classroom. The breathable, soft mesh makes this habitat an airy sanctuary for your beautiful butterflies. 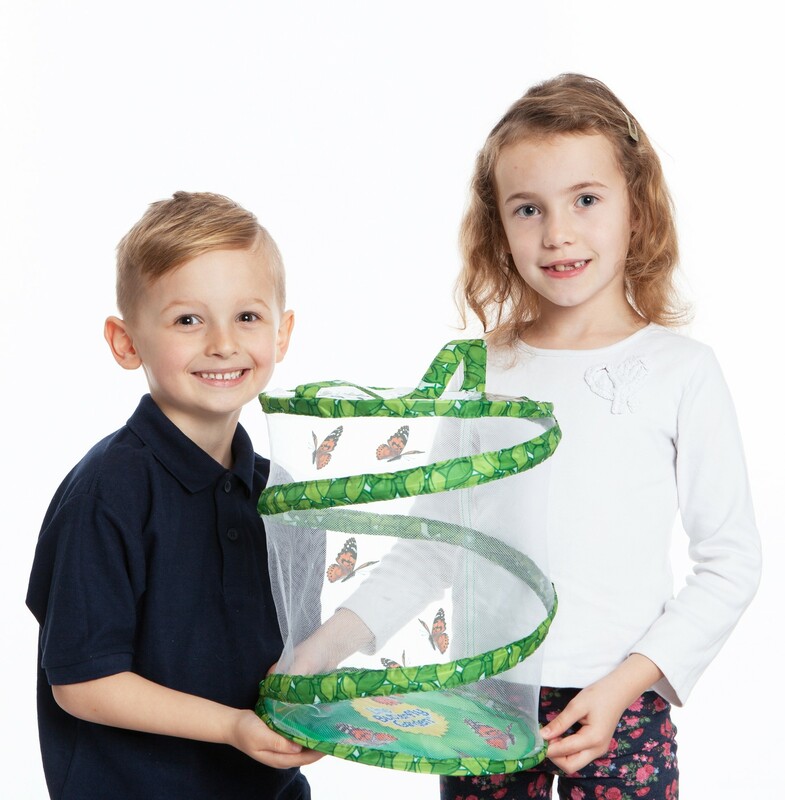 It is lightweight, roomy, durable, and keeps butterflies or any other insects safe inside until you are ready to set them free. The habitat is perfect for insect observation as it hangs easily from a Velcro strap or stands on a counter top, desk or table. The zippered closure at the top allows for convenient feeding and releasing of your insects. The habitat is easy to wash - just hang to dry. Collapse it flat for storage and pop it open when you are ready to use it again!